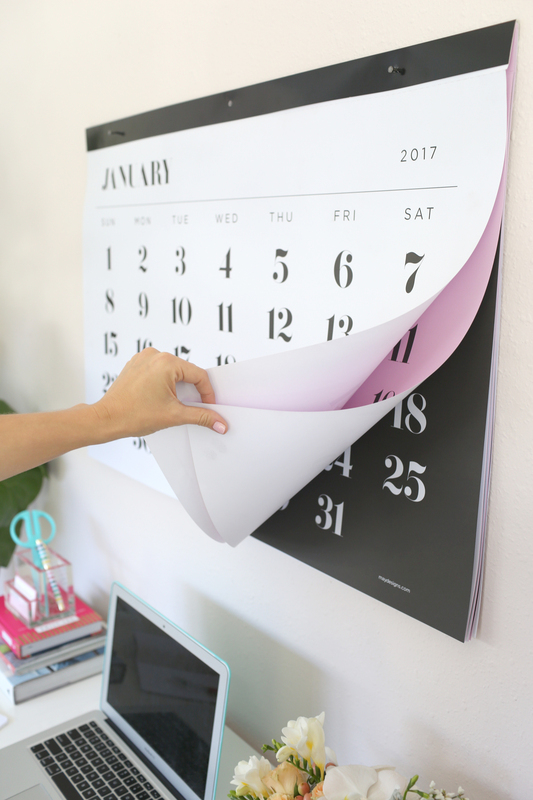 Anyone else love the feeling of a fresh calendar to mark the start of a new year?!? I’ve had my eye on this for a while now. I just love the simple, minimalist look, and the fact that it is SO big. This is brand new this year from one of my favorite shops. The look is similar to the one above, but with a slightly more feminine look and pink pages alternating inside. Sorry to burst your bubble (HAHAHAHA), but this thing has been so popular that it is sold out or backordered (like, until May) basically everywhere. BUT, if you can get your hands on one, I guarantee your kid will be obsessed. So fun!!! This is smaller than the others, but its purpose/greater cause more than makes up for its size. From the website: Which values are we holding tightly to right now? What do we want our children to know we believe in and stand for? 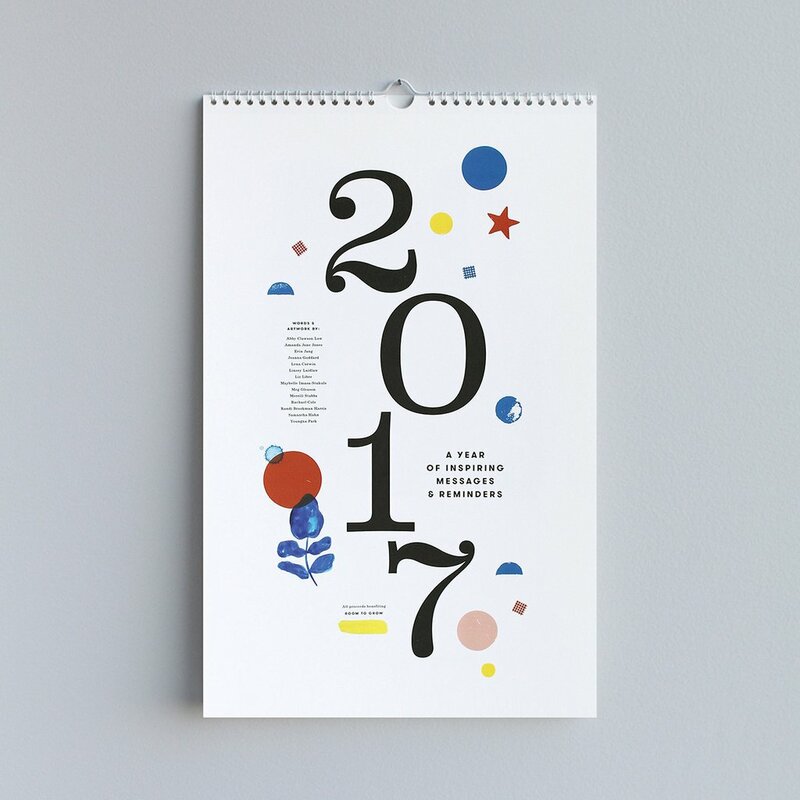 Fourteen mothers (including one of my favorite bloggers, Joanna Goddard) come together to respond to these questions in this special 2017 collaborative calendar. All contributors donated their words and artwork, with all proceeds benefiting Room to Grow, an organization dedicated to enriching the lives of babies born into poverty, throughout their first three years of development. For more info please visit roomtogrow.org. 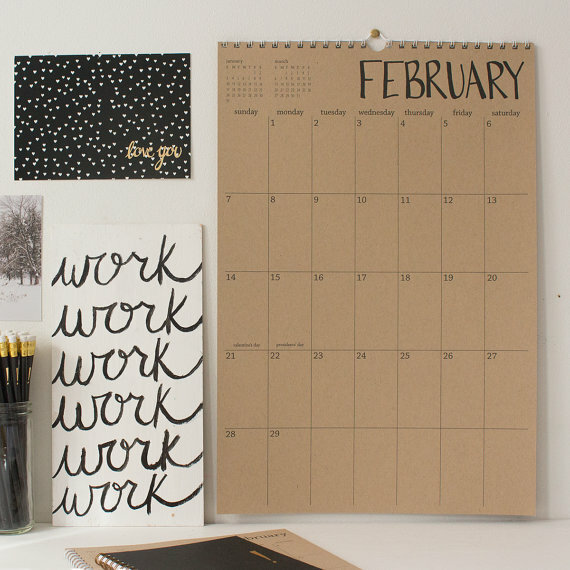 You can’t go wrong with Kraft Paper (#amirite?). 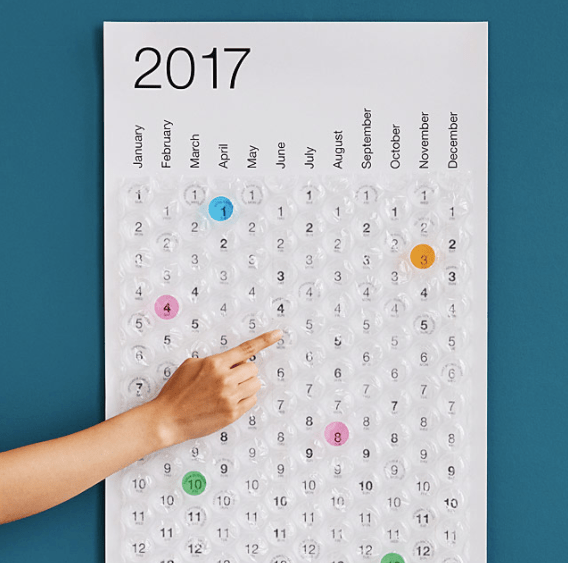 If you prefer to see your whole year at a time, I love this poster-sized calendar with room to mark all your most important dates and upcoming events. Aren’t these great?!? 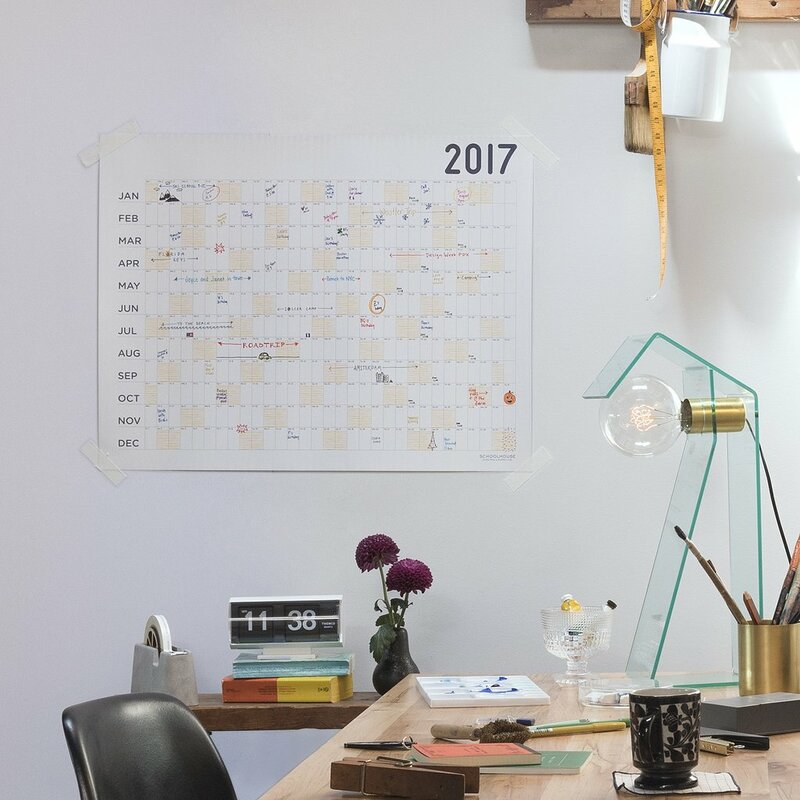 Do you use a wall calendar? What’s your favorite?!? P.S. Don’t forget that today is the last day to enter yourself or a teacher you know and love in my Dream Teacher Gift Basket Giveaway!! AND, I’ll be sending a “holiday edition” of my (long lost) Sam & Scout Newsletter tonight. 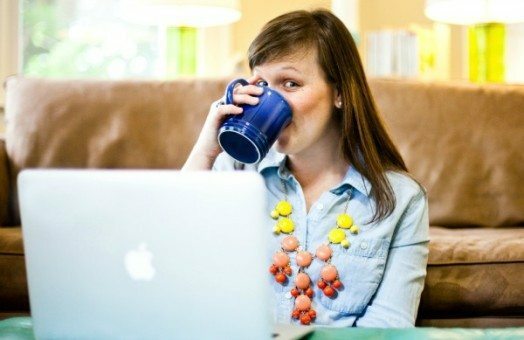 If you haven’t already signed up, make sure you do it – here or on the sidebar! !